After weeks of traveling in the US, I am finally back in Manila! Some things I missed the most? A really good full body massage, and a relaxing foot spa. Good thing I discovered this new place in San Juan called Shū Reflexology and Foot Therapy. 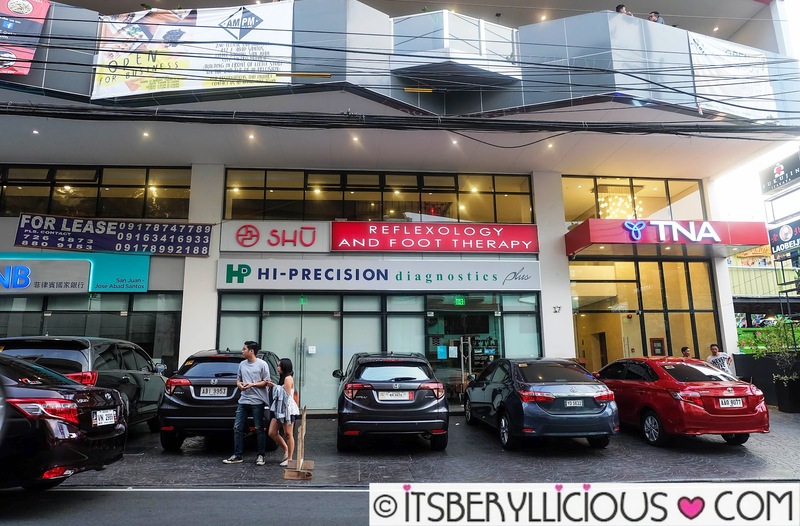 Shu Reflexology and Foot Therapy specializes in foot reflexology which involves the application of pressure to the feet, with specific thumb, finger, and hand techniques. I usually frequent spa establishments for full body massages, and nail salons to service my foot spa needs. Shū Reflexology and Foot Therapy hits two birds in one stone with their Foot Reflexology with Back Massage which we tried last weekend. While the foot therapy didn't involve choosing a polish for my nails, it allowed me to choose a signature foot soak before the session. There are three types of soak available: Ginger Soak, Green Tea Soak, and Salt Detox Bath. 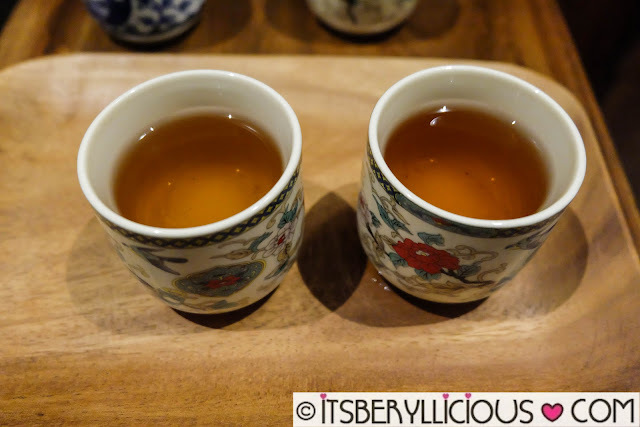 I chose the ginger soak that targets to improve circulation, and helps with conditions like arthritis, rheumatism, and varicose veins, while D got the green tea soak that helps detoxify, soothe, and heal stressed skin. We were led to our own cozy private room equipped with two large massage chairs, a tv for us to watch some shows during the session, slippers, towels, and massage clothes. Shu has an available changing room for those who want some privacy in changing their clothes. The session began with a cup of tea- Green Tea and Rose for me, and Pu-erh for D.
Our therapists brought in a wooden basin for our respective foot soaks, and started to massage our head and shoulders. After a few minutes of hand and arm massage, we had a relaxing leg and foot scrub. 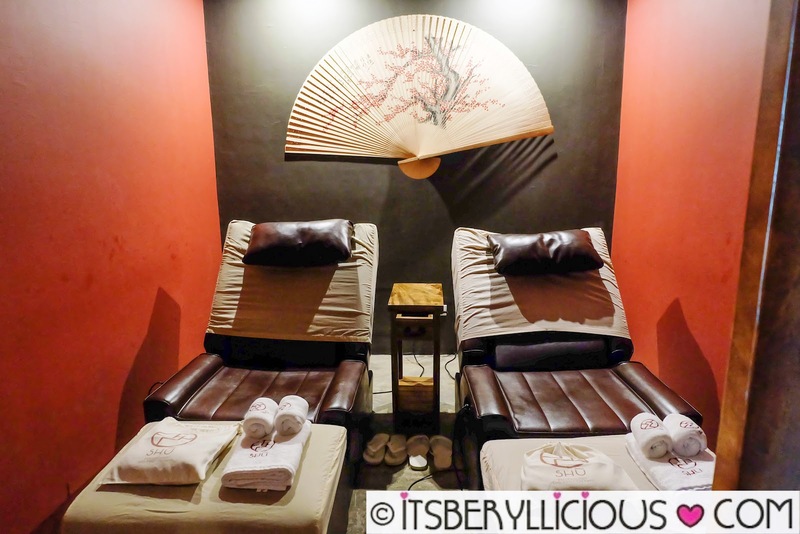 The therapists moisturized our feet, filed our soles, and applied foot masque afterwards. Both legs were prepped using a soothing foot balm before the rigorous foot reflexology, and then finished off with a calming massage oil. There were also some stretching involved and some leg pounding using a reflex hammer. After the foot reflexology, it was time for the back massage. I initially thought that the massage was just a simple chair massage given that their specialty is on foot reflexology. We were quite surprised when our massage chairs were converted to massage beds with a simple press of a button. We are asked to choose between dry massage or with oil, and we chose the latter. The massage was a quick 20-30 minutes session, but it was so invigorating. We both felt energized afterwards, and the massage didn't felt "bitin" at all. My therapist Ate Madel hit all the right spots, and pressure was also on point. Another set of teas were served after the massage. We had a quick tour of the place and managed to check out the rooms available. There are rooms available for couples, 3-4 pax, and even a common room that can accommodate 7 guests. Each room has a unique design and is equipped with an led tv for additional entertainment while enjoying the service. 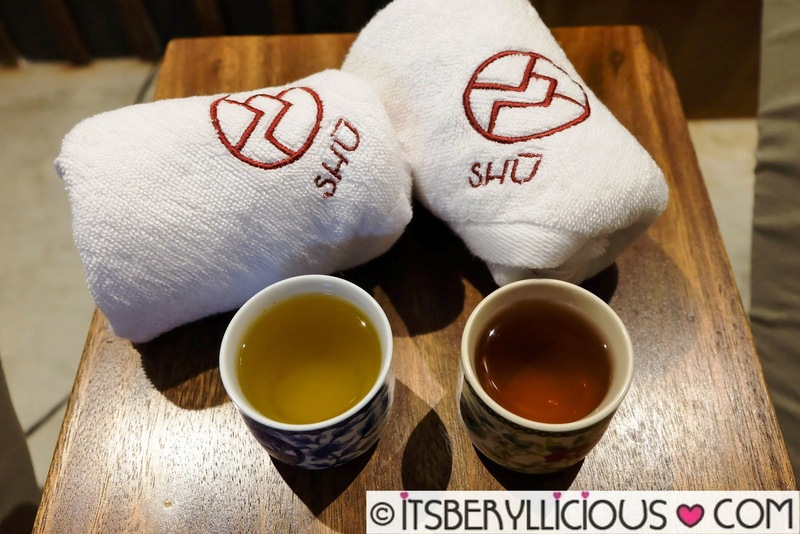 Shū Reflexology and Foot Therapy is a perfect place for someone like me who frequently enjoys a good massage and foot spa. While foot reflexology is their signature service, the back massage was an unexpected surprise. 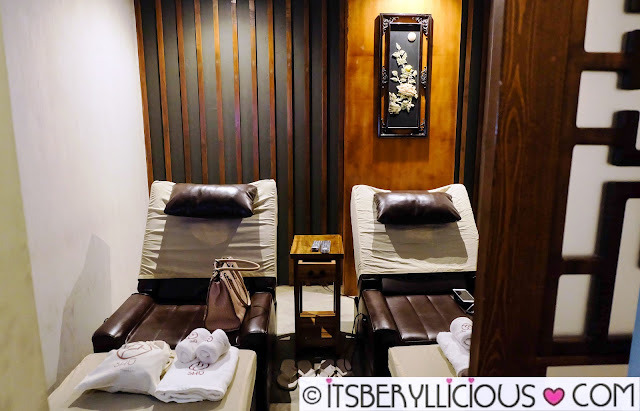 Like I said, it's like hitting two birds in one stone with a relaxing foot spa and scrub, plus an invigorating back massage all in one place. Promo Alert: Shū Reflexology and Foot Therapy is currently selling 10 sessions of their Foot Reflexology with Back Massage 80 mins (worth P550 each) for just P4,000!! !